Sprint Nextel is the third-largest wireless carrier in the U.S.
Sprint Nextel on Monday said that it has agreed to sell a majority of the company to Japanese tech giant SoftBank. The deal, worth $20.1 billion, has been mostly hailed by Sprint's investors as a path for the nation's third-largest wireless company to compete against larger rivals AT&T and Verizon. It also gives Sprint the cash necessary to avoid bankruptcy -- a situation many analysts thought Sprint could soon face if its ongoing network transformation plan didn't go according to plan. Sprint (S) is up to its eyeballs in debt, undergoing an expensive -- and late -- transition to 4G-LTE, and losing contracted customers in the wake of its decision to ditch the Nextel brand. With smaller rival T-Mobile entering into an agreement to buy MetroPC (PCS)S earlier this month, Sprint is feeling the heat of stronger competition from all sides. Previously forced to go it alone, the company was working on a major upgrade intended to modernize its network. Still, Sprint's management faced criticism for lacking the chutzpah to do something bolder. SoftBank is Japan's third-largest carrier, and is led by colorful and outspoken CEO Masayoshi Son. The company isn't shy about dealmaking. It owns a stake in social media games company Zynga (ZNGA), had a chunk of Yahoo (YHOO) until last year, and orchestrated a blockbuster deal to buy Vodafone's (VOD) Japan unit that gave the company a huge presence in the burgeoning wireless space. SoftBank's flair and assertiveness could give Sprint a needed jolt. The company lost its brief marketing edge -- billing itself as the only nationwide network with unlimited data -- when T-Mobile recently reverted to its unlimited data plans as well. The deal announced Monday will give Softbank a 70% stake in Sprint, completing a deal that has been reported in the works for several days. 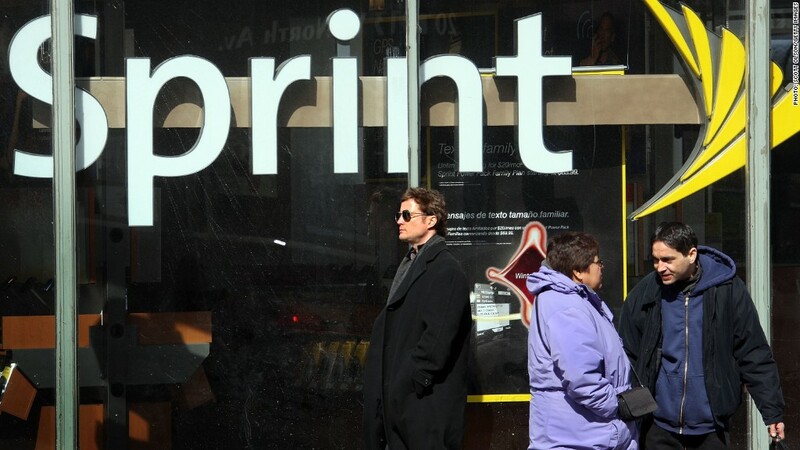 Of the purchase price, $12.1 billion will be used to purchase existing Sprint stock at $7.30 per share. The remaining $8 billion will go toward the purchase of new shares at $5.25 each. The companies said they expect the deal to close in mid-2013. Sprint first revealed Thursday that it was negotiating with SoftBank, an announcement that caused shares to spike by as much as 19%. Shares were trading 2% higher Monday morning. Sprint trails AT&T (T) and Verizon (VZ) in market share and revenue. The company has continued to lose money, despite finally adding Apple's (AAPL) iPhone to its network last year. Sprint's new organizational structure will include a 10-member board of directors, including at least three members of Sprint's current board of directors. CEO Dan Hesse will remain in his job and on the board. The company's headquarters will remain in Overland Park, Kan.
-- CNNMoney's David Goldman contributed to this report.